Garson started his Karate training in 1992 in the Shotokan style with Sensei Andy Holmes, while a student at Simon Fraser University. He attained his Nidan in 2000 with the Canadian Shotokan Karate Association and has been teaching at SFU in various capacities since 1995. Garson is well known in Karate BC for his contributions as a volunteer, tournament organizer, and finally as Manager of the BC Team in 2003-4. In 2011, Garson earned his Yondan (4th Degree Black Belt) from the International Shihan Kai, which consists of the Japanese Executive council, the American Shihan Kai, & the Canadian Shihan Kai in Vancouver, BC. 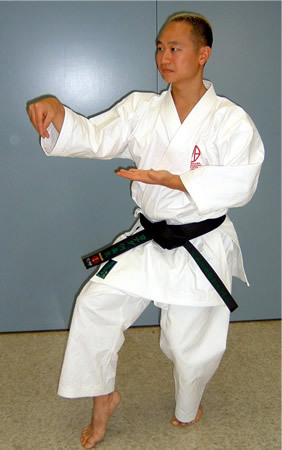 In 2004, Garson expanded his Martial Arts horizons by training in Tesshinkan Kobudo and Seito Shito Ryu Karate-do with Sensei William Chung. Here are some of Garson's well-earned accomplishments in the many tournaments he has attended in the past several years. •	2005 - 5th Seito Shito Ryu Karate-do Taikai, Osaka, Japan. •	2007 - 6th Seito Shito Ryu Karate-do Taikai, Lake Placid, New York. Garson is currently instructing the Intermediate/Advanced Youth program at the Cambie Community Centre in East Richmond, BC.